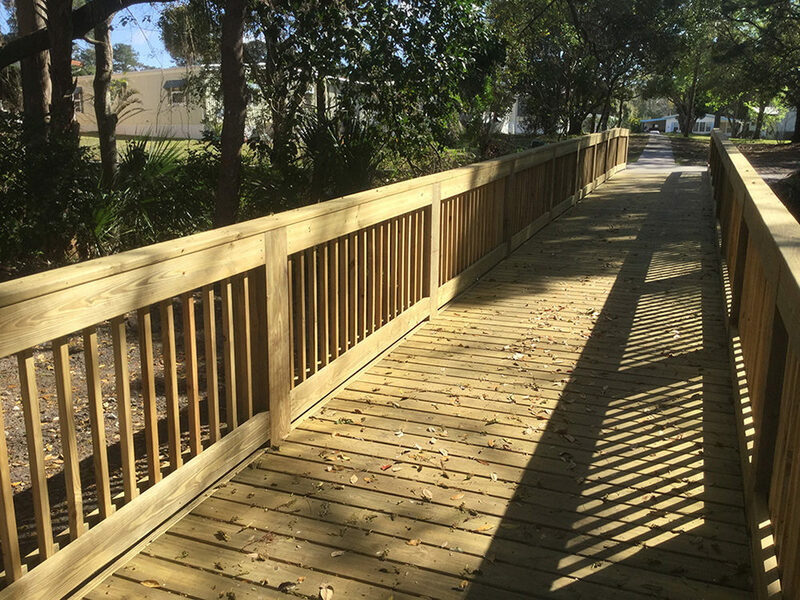 Fender Marine Construction was selected by the Hacienda Village Home Owner’s Association after a competitive bid process to design and build the golf cart bridge and pedestrian bridge. 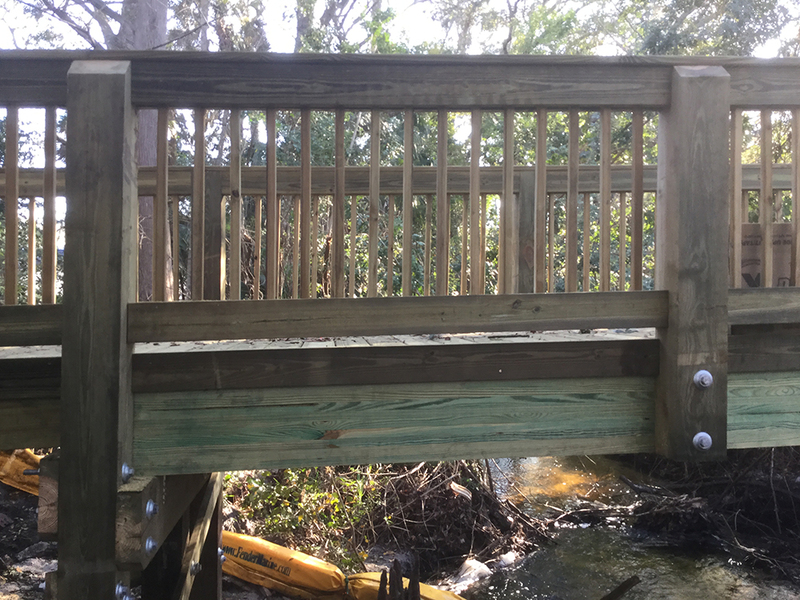 Fender Marine Constructed located in Orlando, Florida designed this bridge project with aluminum bridge abutments capped with steel reinforced concrete. 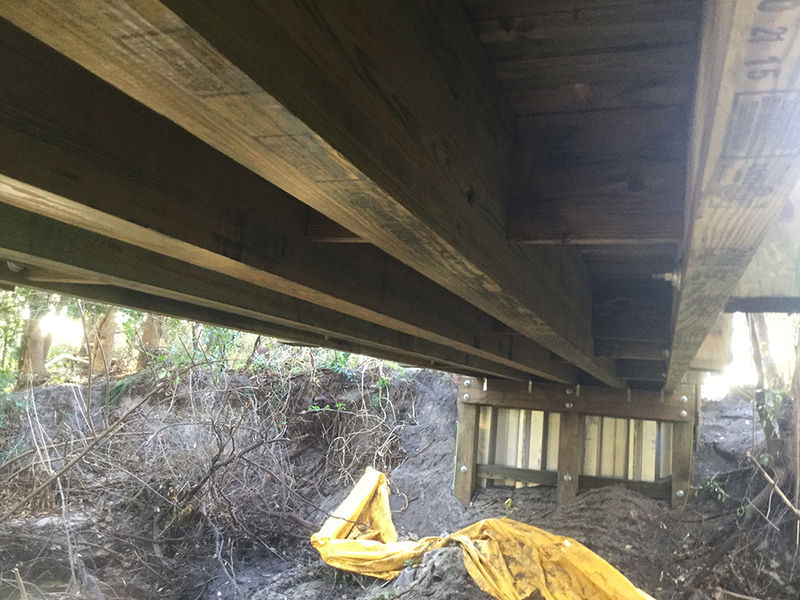 The main span of the bridge were heavy pressure treated exterior grade Glue- Laminated beams allowing a clear span bridge over the creek. The golf and pedestrian bridge project was designed, permitted and constructed in record time and on budget.